Blessed with perfect weather, last year’s FrostFest brought large crowds and more than 50 snow sculpture entries. Families and visitors enjoyed gallons of hot chocolate and hundreds of homemade cookies donated by local businesses and volunteers. Impact 32 volunteers had a good time too, running fun games with prizes for every child, and mascot Bobbie Constellation’s visit to FrostFest was a special highlight. This year FrostFest is again located at the park at Lock 32 beside the swing bridge, and Impact 32 is again offering prizes for your engineering marvel! Enter as a ‘Family/Group’ to win one of two $100 gift certificates, or as a ‘Businesses/Community Organization’ to bag bragging rights and good Family Day karma. Gift certificates are redeemable at the Bobcaygeon retailer of your choice. You can build your snow sculpture any time you like, and volunteers will be on duty taking pictures of your masterpiece from 10 a.m. to 3 p.m. on Sunday, February 18th. Ballots will be available on site, or you can vote for the photograph of the sculpture you like best on Impact 32’s Facebook page facebook.com/Impact32. Volunteers will be posting Snow Sculpture Building Tips on their Facebook page and website www.VisitBobcaygeon.com as we get closer to the celebration. Impact 32 is a volunteer committee made up of local business owners and community organizers. We identify, coordinate and assist with community-based initiatives, funding, and promotional opportunities that foster economic development in Bobcaygeon. Save the dates: Saturday May 26th to Saturday June 2nd. This is the Strawberry Moon; the most active times for turtle nesting in central Ontario. We plan to walk the high risk roads of The Land Between to raise awareness and gain pledges and support to save Ontario’s turtles. Turtle Walk packages will be sent to participants in early February and include pledge sheets and posters. KAWARTHA LAKES— The City has recently launched a brand new website with features designed to make it easy for cottagers stay connected. 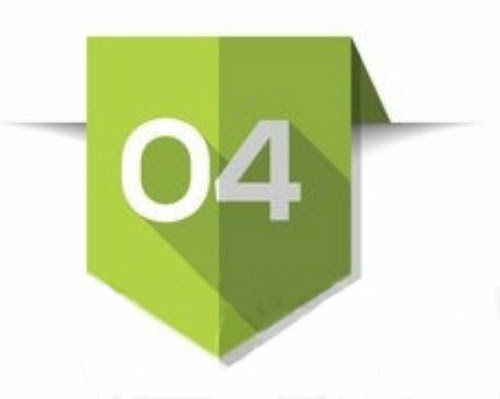 The website allows subscribers to receive weather alerts, news and event information by e-mail. 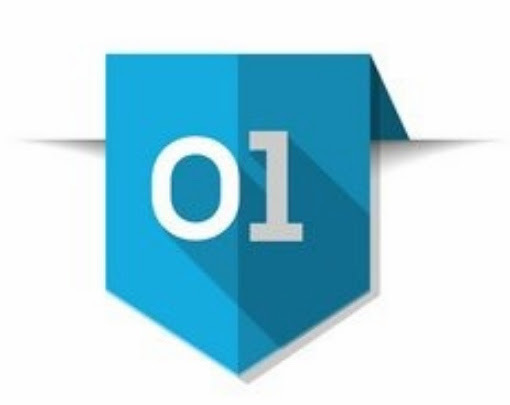 Also available is a brand new mobile app called Pingstreet that people can download onto their mobile phone. 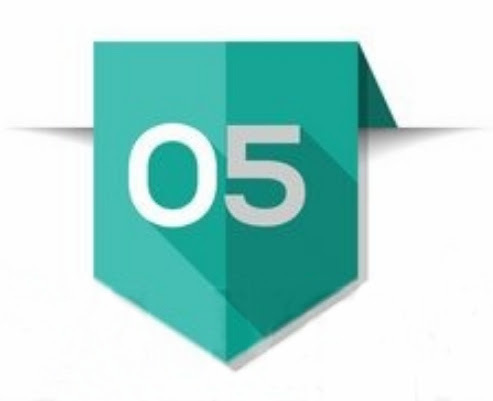 Pingstreet also allows users to access the latest news and events as well as waste and recycling information. The app is free to download and can be found in the app store on any smart phone or at the bottom of the homepage on the City website www.kawarthalakes.ca. Residents are also encouraged to visit www.kawarthalakes.ca/subscribe to sign up to receive City news by e-mail. Please share this information with your fellow members! 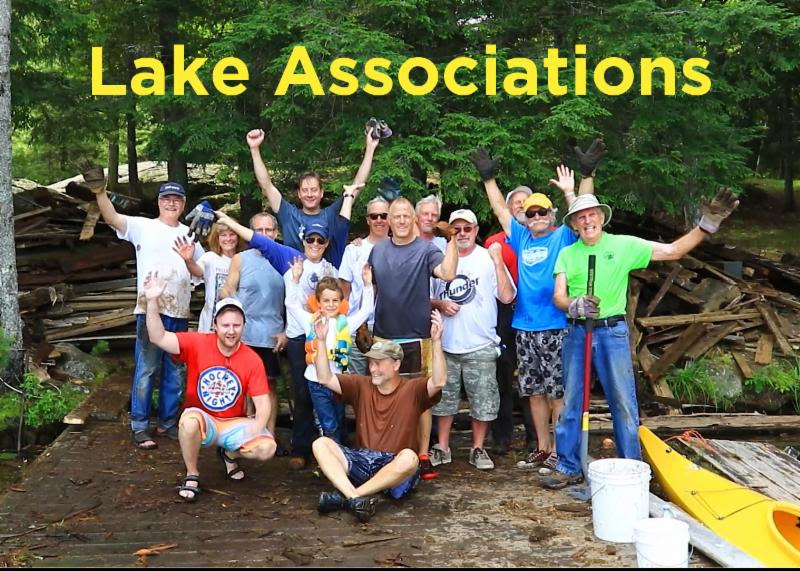 For the love of Lake Associations: a video worth sharing! 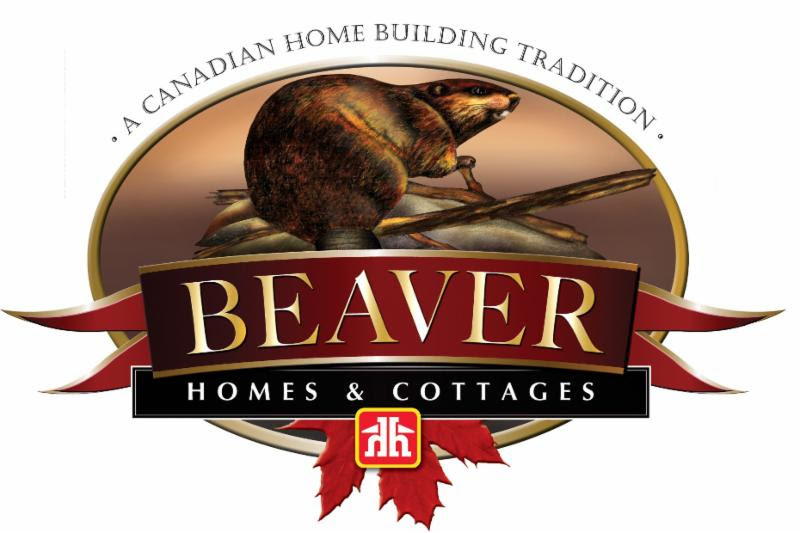 FOCA has been following several recent media reports about municipalities debating the regulation of cottage rentals. 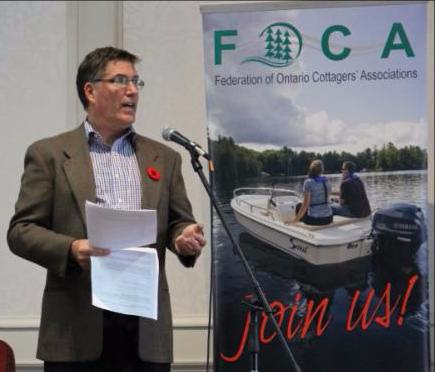 See links to news items, here: https://foca.on.ca/responsible-cottage-rental/. 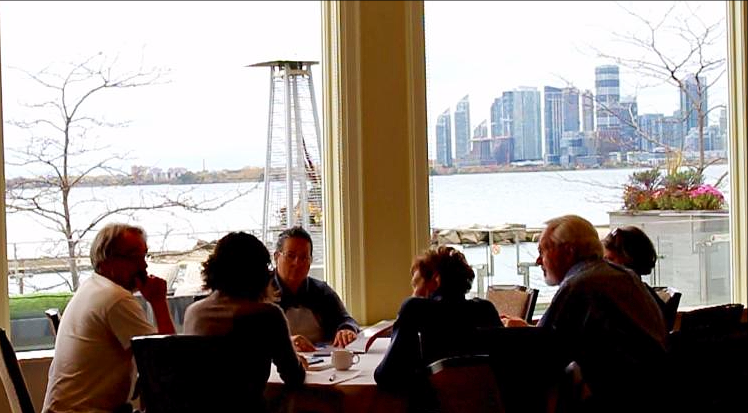 In 2018, Ontarians will have a Provincial election in June, as well as Municipal elections in October, and FOCA will be providing updates throughout the coming year to inform waterfront property owners about the issues that matter. 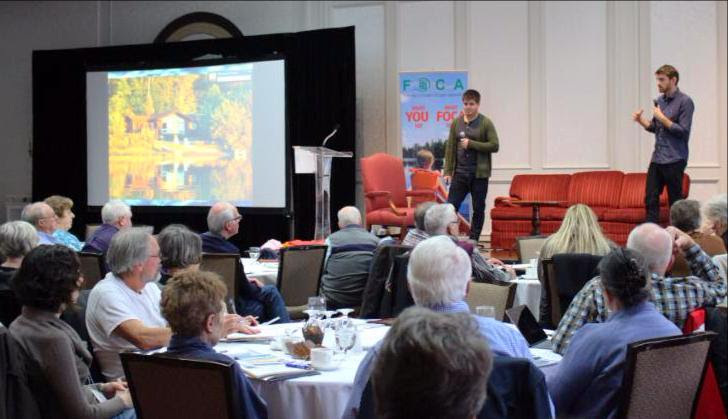 Here’s a recent question we fielded from a member: “If my family owns a cottage, will I be able to vote in that municipality?” FOCA has the answer for you, which differs for Municipaland Provincial elections! In October, TransCanada announced it will not proceed with its pipeline proposal. Read the news posted by the Globe and Mail. A map of the previously proposed route can be found on the National Energy Board posting. 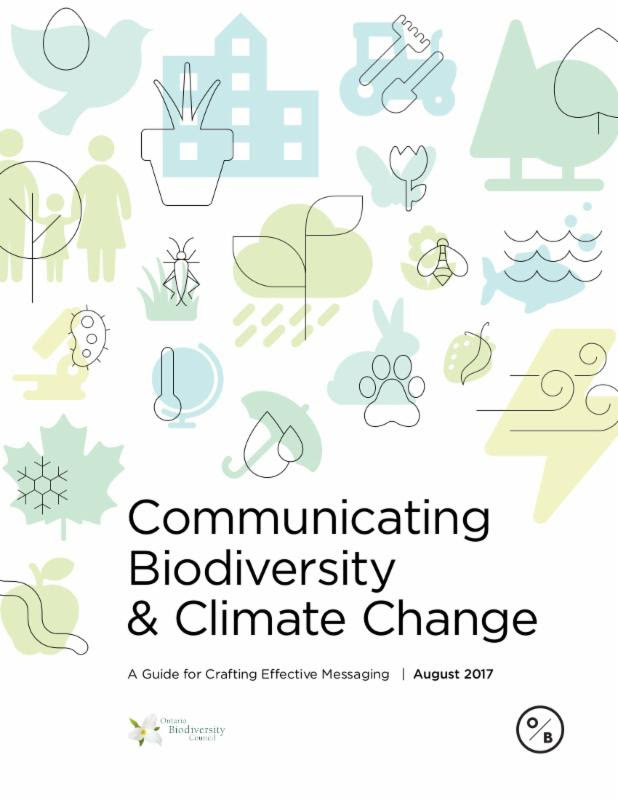 October 12, 2017 – While this article is focused on one particular Ontario region, it hits the highlights about what’s happening on our waterfronts as a result of climate change and related developments. 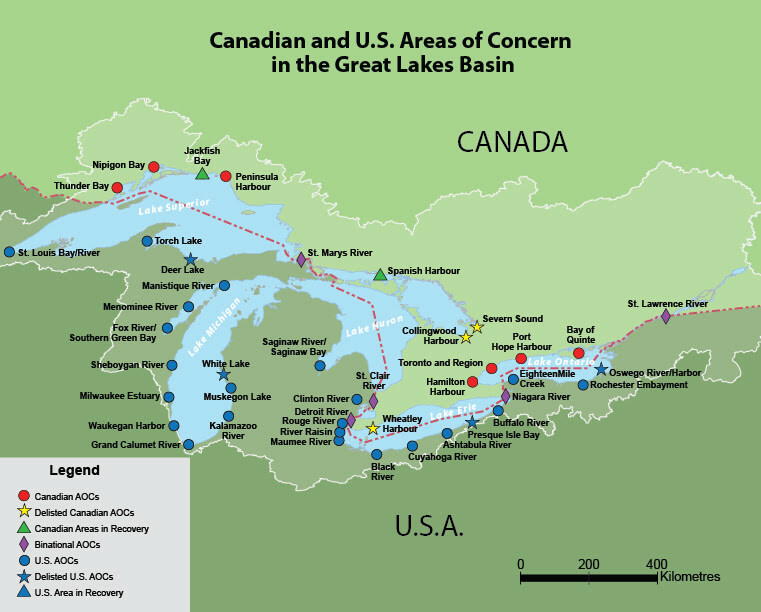 Read: “What’s happening in our lakes and rivers?” (Peterborough Examiner). 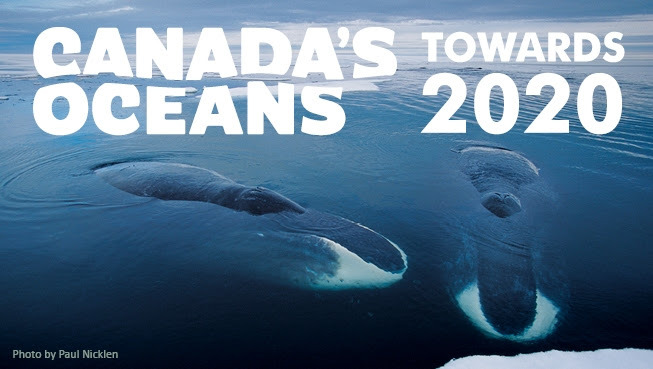 On December 1st, FOCA attended an update meeting about the project, Kawarthas, Naturally Connected (KNC). End-products of this multi-stakeholder multi-year initiative include: detailed maps, a large database, and methods for obtaining or downloading these products, all of which can help stakeholders (including lake associations) interested in lake planning and policy, or to prioritize the implementation of stewardship projects. Wetlands, forests and riparian features are all elements of the natural heritage system identified in the resources. 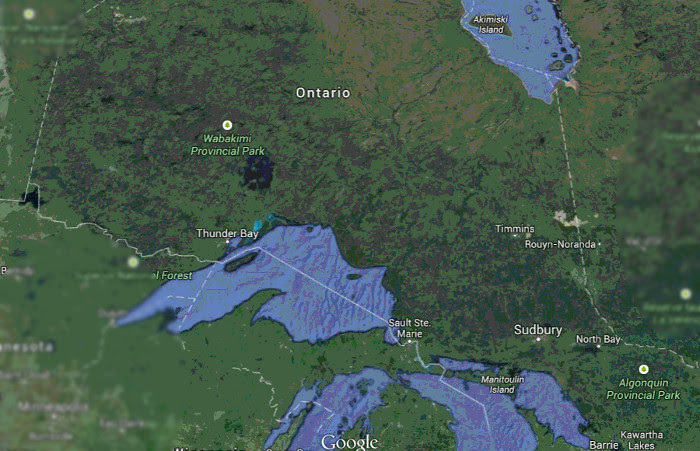 The maps and figures in the Phase 1 Report could add detail to your local lake plan! 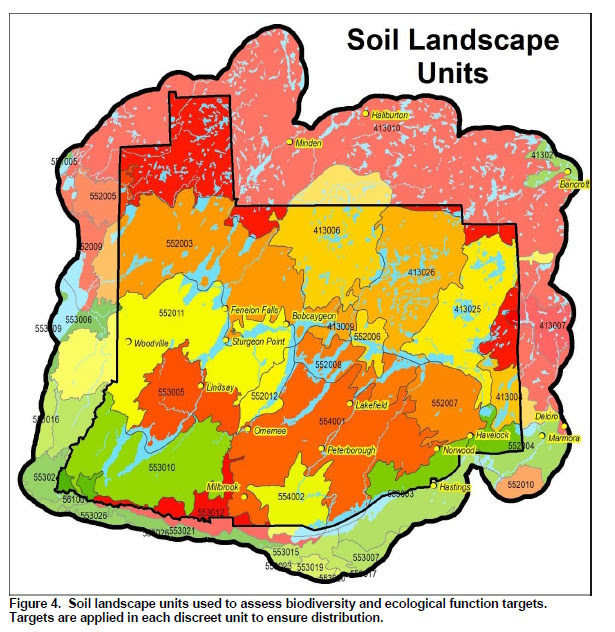 We encourage regional lake associations to use this information: click here for details(PDF, 1 page), and then visit http://www.kawarthasnaturally.ca/ to access all the online resources. 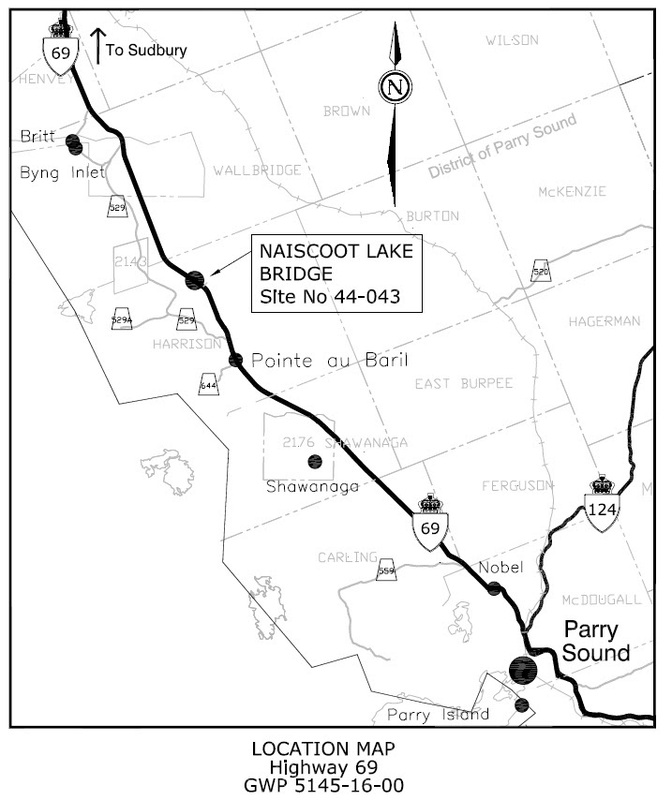 November, 2017 – FOCA has been notified of a Detail Design and Class Environmental Assessment Study for the replacement of Naiscoot Lake Bridge on Highway 69, north of Pointe au Baril in the Township of The Archipelago. Read the notice by clicking here. (PDF, 1 page) Click the map image to enlarge the study area map. 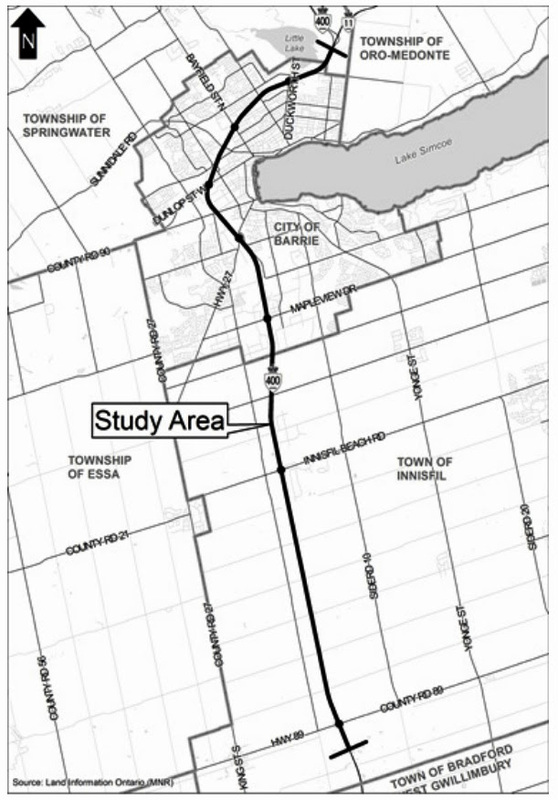 November, 2017 – FOCA has been notified of a Transportation Envrionmental Study Report Addendum for improvements to Highway 400 from 1 km south of Highway 89 to the Junction of Highway 11 within Simcoe County, to incorporate future traffic projections. Review the Addendum online here (including a map of the study area), and comment by December 8, 2017. November 7-8th, 2017 – Montreal. 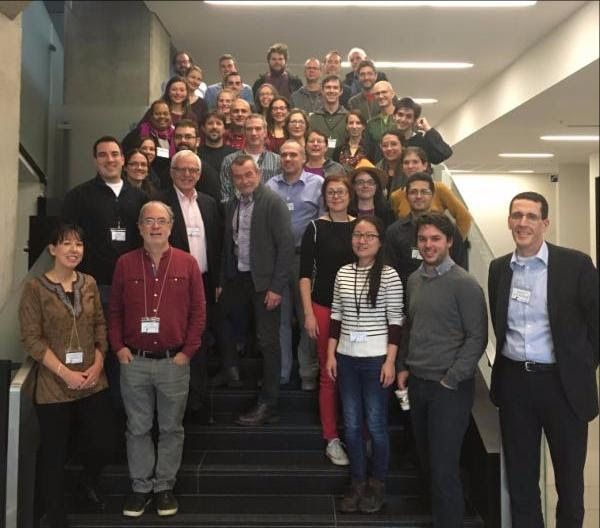 FOCA met with science partners at the NSERC Canadian Lake Pulse Network gathering. Together with partners across Canada, Lake Pulse aims to create new tools to deliver information to people who care about lakes (including scientists, managers, policymakers and citizens), and to build the first nationwide database of Canadian lakes. FOCA’s Terry Rees presented about citizen science and the important role of volunteers in the Lake Partner Program and other FOCA projects. November 9th, 2017 – Peterborough. FOCA attended a regional meeting of the Ontario Onsite Wastewater Association (OOWA) to get updates about best practices related to septic inspections, as well as a technical review of recent, upcoming and proposed changes to the Ontario Building Code (OBC). 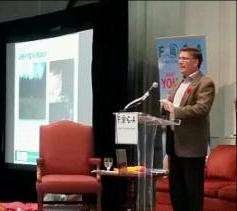 FOCA will continue to keep members updated, here: https://foca.on.ca/septic-systems/. November 13, 2017 – Toronto. FOCA joined fellow environmental non-governmental organizations (ENGOs) at this event, hosted by the Canadian Environmental Law Association. 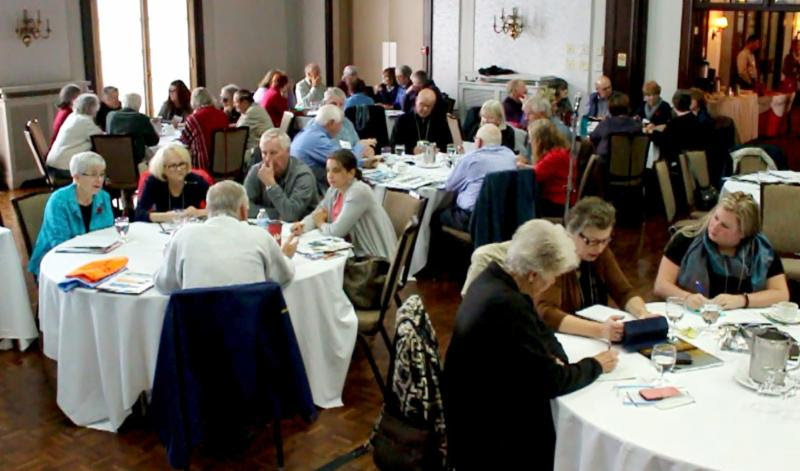 The assembled group reviewed the state of Ontario freshwater policy, discussed recent developments, and planned for action on water issues as the 2018 Provincial election approaches. 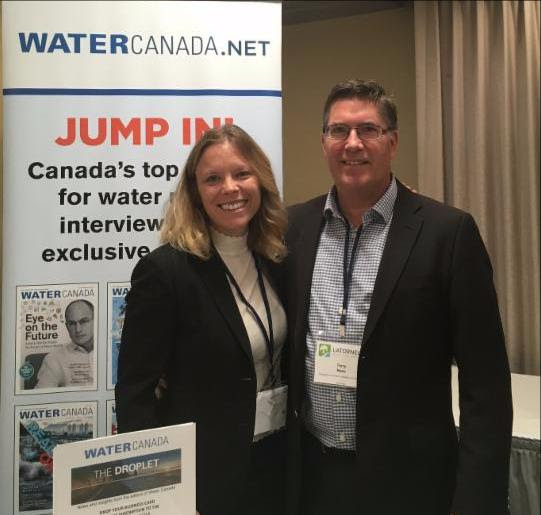 Pictured at right: Water Canada‘s editor, Katherine Balpataky, with FOCA’s Terry Rees at the 2017 Latornell Symposium. 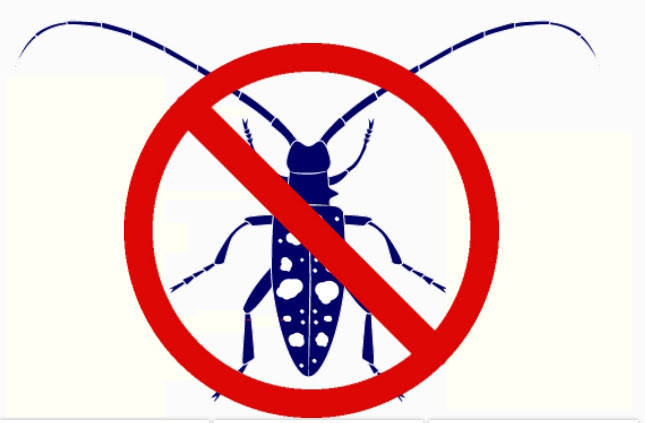 Snowbirds: Winterize your home for the time you are away this winter! Get tips and download a checklist, from our partners at Travelers Canada and Cade Associates Insurance Brokers. 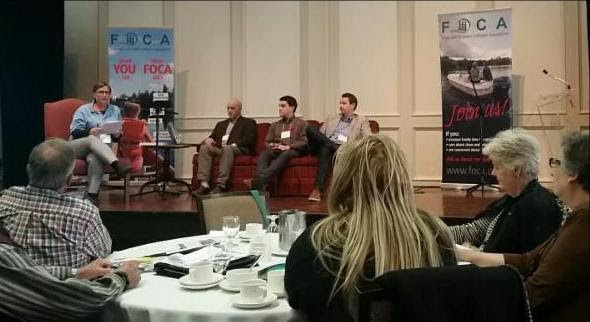 Our latest FOCA member event took place on Saturday, November 4th, 2017 at the Boulevard Club in Toronto. 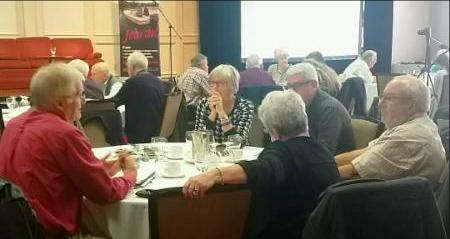 With 125 attendees, it was a lively day of discussion and learning about building a sense of community, volunteerism, engagement and ways to connect with younger generations, for the good of our lake associations. Please share the following highlights with your fellow association members! FOCA’s Executive Director, Terry Rees, opened the day with an overview about FOCA’s recent work, including invasive species projects undertaken this summer with 26 member Associations across the province, and a rural economic development project underway to clarify and assert the importance of cottage residents’ roles as entrepreneurs in municipal economies. The theme of the day’s seminar reflects our members’ ongoing interests in membership growth and retention, and finding new & younger volunteers to ensure the vibrancy of lake associations for the future. 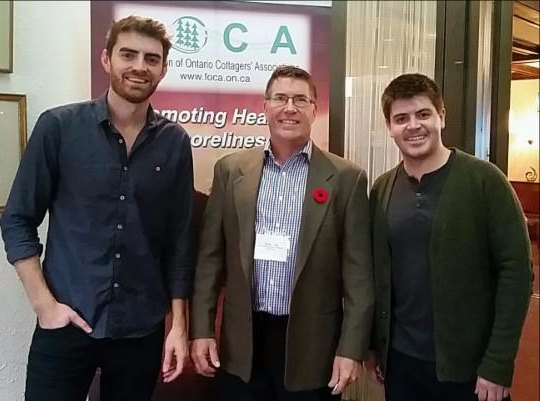 In 2018, Terry explained, FOCA will continue to work on asserting the significance of lake associations to decision makers, and will keep members informed about the upcoming Provincial Election (June 7, 2018) and Municipal Election (October 22, 2018). While acknowledging the essential value of long-term commitment, there is clearly a need to keep filling the ranks of volunteers in our community organizations. Terry quoted the Corporate Knights: “A more sustainable future will only come about through the dedication of an informed and active citizenry.” (www.corporateknights.com/) Our challenges are many, but we have the strength of community to help us tackle them. We were very pleased to welcome Alex Mifflin and Tyler Mifflin, creators and co-hosts of the TVO eco-adventure documentary series, “The Water Brothers.” Since 2012, these Georgian Bay cottagers have travelled the globe, exploring some of the most important water stories of our time. The brothers’ passion for environmental education and conservation has led them to become water ambassadors in Canada and around the world. They strongly believe in ensuring that audiences, particularly young people, are aware of the challenges we face in relation to our most precious resource: water. They want youth to become part of the emerging solutions that will need to be implemented in the coming years, in order to harmonize our relations with ecosystems that support all life on earth. To see more about the Water Brothers, stream their Season 4 videos, here: http://thewaterbrothers.ca/. Don’t miss, “On Thin Ice,” the episode about water science and their visit to the IISD Experimental Lakes Area! We rounded out the morning with a break-out session of table discussions about peer success stories. We asked each group to consider what is working for their lake associations, including: tools or events that help to find and engage NEW MEMBERS as well as YOUNGER VOLUNTEERS, and what GAPS might be preventing Associations from improving membership or volunteer/youth engagement. 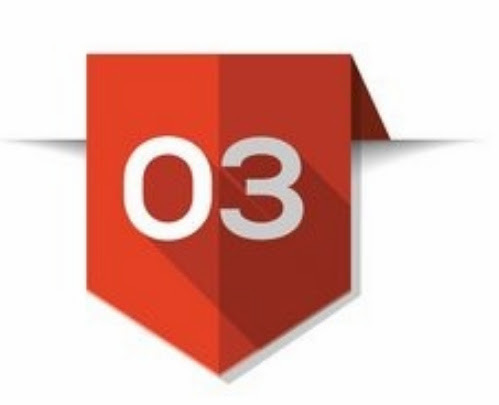 Top ways to find new members include: dock-to-dock visits, social events that include food and drink, creating a welcome book or welcome wagon to greet newcomers, and leveraging digital tools such as websites, email newsletters and social media to circulate information about the “burning issues” that can galvanize interest in the association. Younger volunteers may be found by hosting events targeted at youth, by taking advantage of social media, and by offering High School community service hours with your association. Also, it can help to offer younger volunteers specific, finite tasks and short-term commitments for one project or event, instead of a two-year Board stint, for example. Participants reported some skills gaps to manage social media, websites and digital apps. They also identified that new structural models (such as “youth” or “associate” memberships) might encourage new people to get involved. > Jacob Rodenburg, Executive Director of Camp Kawartha and co-author of The Big Book of Nature Activities, focused upon the youngest definition of youth: those under 18 years of age. Jacob said: “A child is ‘biofluid’ and benefits from experiences in the same places, repeated over time to foster a life-long relationship with nature. From relationship comes respect, which leads to responsibility, and finally to reciprocity (wanting to give back).” Jacob encouraged associations to connect local nature experts with youngsters, and to consider offering kids’ day camps, as well as opportunities to perform simple acts of naturalization. Find age-appropriate details in his book (see link, above). > Thomas McAuley-Biasi, Chair of the non-profit organization Emerging Leaders for Biodiversity, urged our members to establish one-to-one connections with Millennials (roughly, the 18-to-35 year olds), and to share the passion that fuels your own involvement in the lake association. Remember, Thomas said, those finishing school need volunteer hours and unique internship opportunities that will help them stand out as they look to enter the competitive job market. 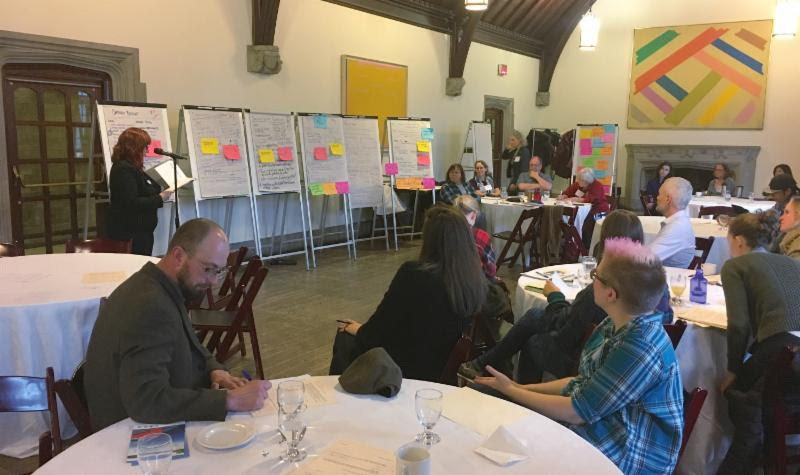 > Mike Hendren, Executive Director of the Kawartha Land Trust, echoed the call to “never waste a crisis!” Identify the transformative issue(s) at your own lake that will speak to new members and encourage new volunteers. Mike noted that we often expect volunteers to do too much; try asking for help at a one-time event instead of requiring a Board commitment. 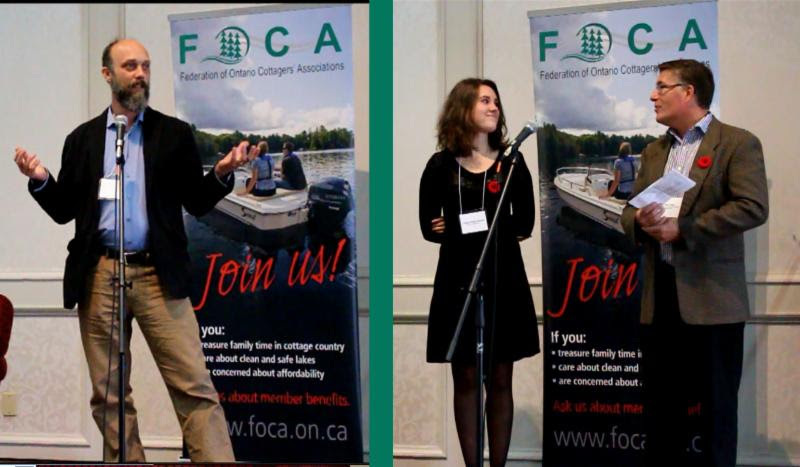 Our event concluded with the launch of the FOCA 2017 video project: “Lake Associations,” a new short film by videographer Chelsie Xavier-Blower, a graduate student of the Environmental Visual Communication (EVC) Program of Fleming College and the Royal Ontario Museum (ROM). Chelsie was introduced by Dave Ireland, Managing Director of the ROM Centre of Discovery in Biodiversity. 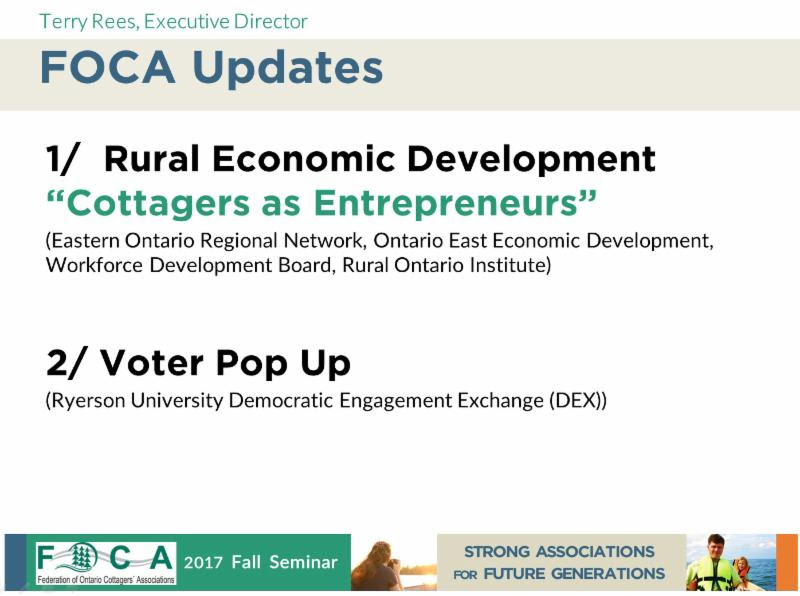 FOCA thanks all the member Associations who assisted with the making of this video, shot in Ontario cottage country this summer. Please share this video with others! also to our lunch sponsor Yamaha Canada and refreshments sponsor Cottage Life. 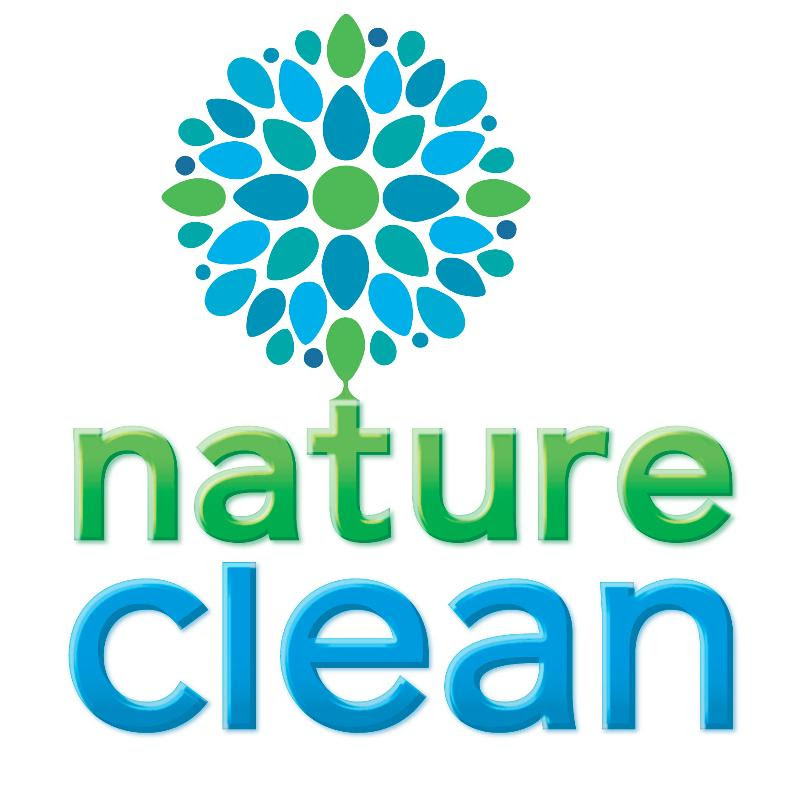 Gift basket was provided by Nature Clean. Pigeon Lake residents among those frustrated with noisy harvesting practice. Full Story from Kawartha Lakes This Week here.